This is from the Formation Finder portion from June 9th. The simple definition for an “outside day” is when the day’s high is higher than the previous days high and the day’s low is lower than previous day’s low. If BOTH these things happen and the market settles at either of these 2 points (above the previous day’s high or below the previous day’s low), this is most often taken as a sign that the market is poised to make a move in that direction. 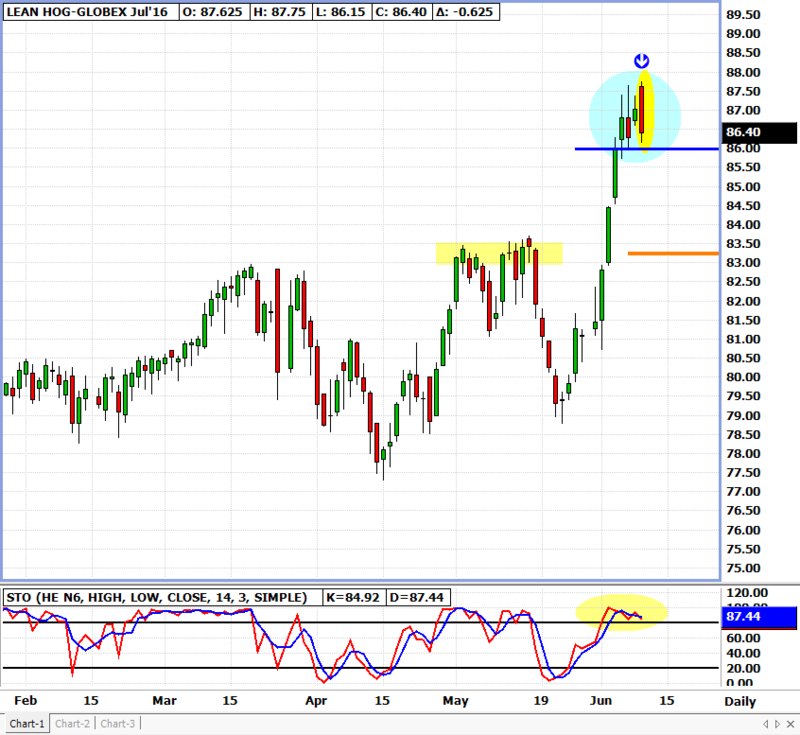 The last trade is 86.40 If we break below 86.00, getting short may provide a great opportunity. a 50% retracement puts this market at 83.25, which is also old resistance!